The topic of packing lunches often elicits a deep sigh. One more thing to do, one more thing to remember. Let’s try to shift our perspective by looking at lunches through a Montessori lens. 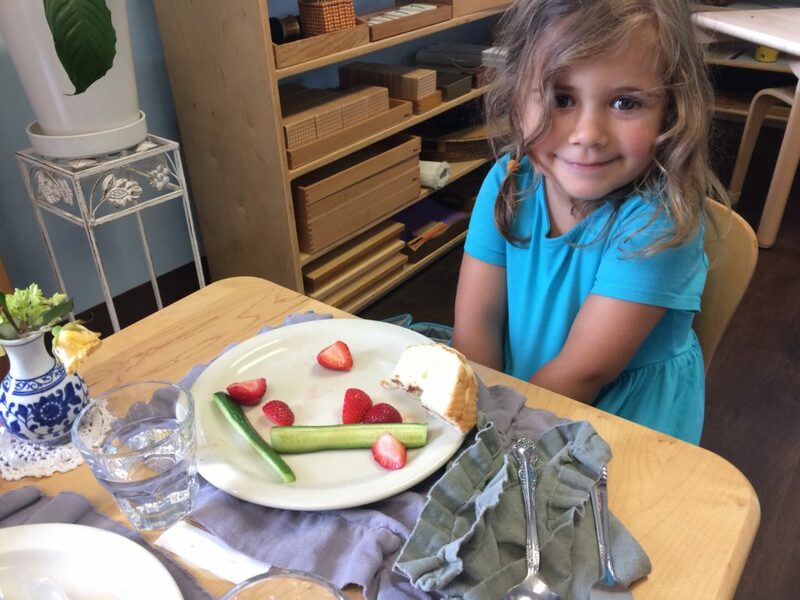 Like most things in the Montessori classroom, lunch is a multi-faceted opportunity for growth. It provides occasions for choice making, self-sufficiency and increasing hand strength and dexterity. It’s a time to practice social graces, build community and learn table manners. 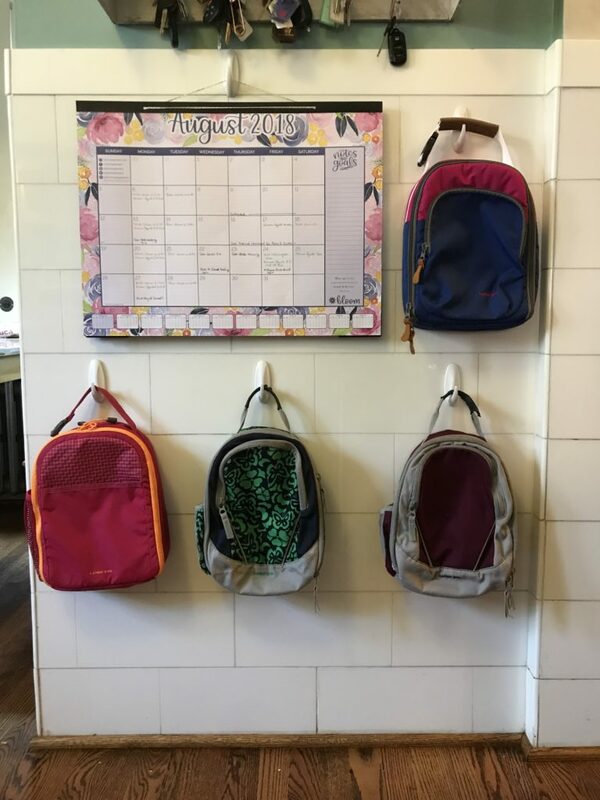 Our work at home regarding lunch preparation can feed this work in the classroom, allowing the children to get the most out of mealtime at school. When thinking about lunches, we must keep in mind how much our children work while they are at school. The youngest are building their personalities, refining their movement, expanding their language and working with numbers. 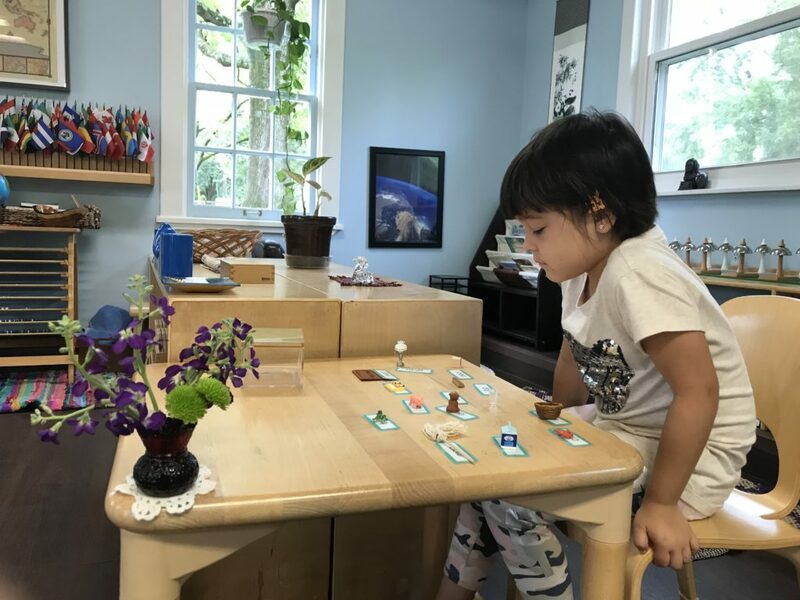 Elementary children are figuring out their social selves and actively pursuing new learning. After a three-hour work period, children need to replenish their energy with a healthy lunch. Extended day and elementary children need their lunch to provide the nourishment for their afternoon work. While we’ve all had the occasional day where we pretend that the cheese flavoring in the bag of Doritos counts as protein and fruit snacks are actually fruit, we also know this has to be the exception rather than the rule in order for our children to have what they need at to thrive at school. While adjusting the choices available for lunch, school can be an excuse to deflect pushback. “This is what <insert name of teacher> said…” goes a long way. Use it sparingly and use it wisely, but if you need extra support packing a lunch full of healthy options, this might be one of those moments. Because lunch is an opportunity for the children to exercise their ability to choose, think about sending the children with a few small things to choose from rather than one large “all in one” dish. Also, it’s ideal to try new foods at home rather than sending an unfamiliar item into school. Next, consider the lunchbox. Children going into the Children’s House need to be able to open their lunchbox. This allows them to function more independently in the classroom and take ownership of their mealtime. Have your child practice with their lunchbox at home. Remember to practice opening and closing the lunchbox when it is full of containers as that’s trickier to manage than when it’s empty. Finally, let’s talk containers. Reusable containers are ideal. Again, practice with your children so you know they can be successful with them. A little bit of a struggle is okay (it will build their hand strength!) but they must be able to open it. Another benefit of a few small containers is that if a child tips over an all in one box with compartments, they lose their whole lunch. If they tip over just one box, they only lose their blueberries – much easier to recover from! 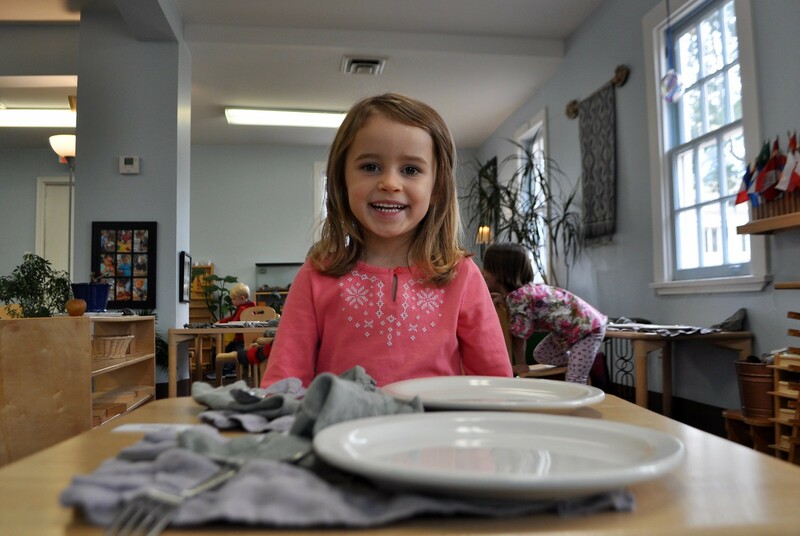 Lunch in a Montessori environment gives the children the opportunity to learn how to eat politely in the company of others. The children set the table, use silverware and eat off of plates. Let’s support our children’s opportunity to eat with dignity!